OneDrive is the one place for everything in your life. Easily store and share photos, videos, documents, and more. When you upload photos or videos from your mobile device or computer to OneDrive, you can get to them when you’re on your PC, Mac, tablet, or phone. With OneDrive you can easily get to, manage, and share files anywhere you are. 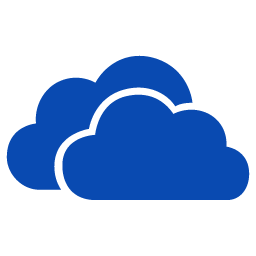 Automatically upload photos and videos to OneDrive using Camera Backup. Browse all your OneDrive files and files shared with you. Share files by sending a link in email or getting a link to copy and paste. Move, delete, and rename files, and create new folders. Open your OneDrive files in other apps, including Office Mobile for iPhone. Quickly get to documents you've recently opened. Now I can create the Office docs I need from within the OneDrive app. Once I've created those docs, my colleagues and I will get notifications when we collaborate on them (rolling out). Once we've published our work to a SharePoint Site, we can use the new Sites view to update and show off our work on the go, all from the OneDrive app.